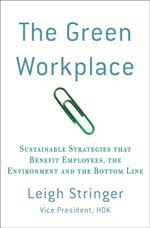 The Green Workplace: Save Water By Turning Off The Lights? I know it sounds funny, but it’s true. I didn’t realize how critical water was in the energy cycle until I was talking to a friend of mine from Atlanta a few weeks ago. I was stating that I thought it was ironic that the oyster farmers on the Florida and Alabama coast were so adamant about maintaining the water flow from Lake Lanier while 5 million people at the top of the mountain could be without water in just a few months. Living in Washington, that’s what was on the news. However the root of the issue is not the oyster farmers, it’s the power plants between Atlanta and the coast that need the water for cooling. These are fossil fuel plants, that need a relatively small amount of water for steam, but a tremendous amount for cooling. So what’s my point? 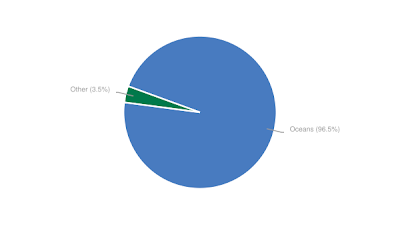 The following graph is one we are familiar with, only about 3.5% of the water on the earth is potable. This next one is the kicker though…. ….while the design community is pushing waterless urinals and low flow faucets, almost half of the water used in this country is going up in smoke, or steam as the case may be. I always thought the water in a power plant was for steam and that they were essentially recycling that steam all the time. I never realized how cavaleir power providers were with water. So using less electricity can save water too. For lots of graphs about water use go to, http://www.swivel.com/graphs/show/11916858. The second graph I found at, http://www.foodandwaterwatch.org/blog/archive/2007/05.